2013 TOURNAMENT WINNERS. See the names and prizes of our 2013 competitors. 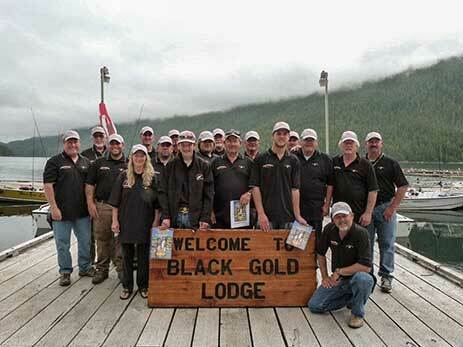 Our Fourth Annual Craig Boddington Salmon Fishing Tournament was a great success. Very happy contestants took home a great assortment of trip prizes. The event is attracting more and more contestants each year. As the word gets out about this FANTASTIC TOURNAMENT we feel more and more contestants will be attending from all areas of the world. Due to the fact that I had to change the dates of the 2013 Tournament, Craig could not attend as he had a previously planned family commitments at the time. I have talked to Craig before setting these dates for 2014 and he has assured me he'll do his best to leave these dates open for the 2014 event. Craig has come to the lodge for the previous four years and we hope to see him and Donna in 2014. Don't miss the Fifth Annual Craig Boddington Salmon Fishing Tournament July 25 - 28, 2014. We expect another year of hot fishing action and unbeatable premiere WORLD SAFARI PRIZES.